To claim this profile, please confirm you are Haley Best. To follow this profile, please let us know your relationship to Haley Best. 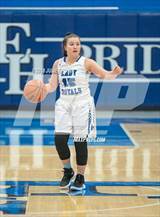 Haley's basketball stats have been updated for the loss vs. Triton Central. RESULTLoss Girls varsity basketball vs. Triton Central. The Eastern Hancock varsity basketball team lost Friday's neutral playoff game against Triton Central (Fairland, IN) by a score of 52-27. This game is part of the "2018-19 IHSAA Class 2A Girls Basketball State Tournament - S42 | Shenandoah". 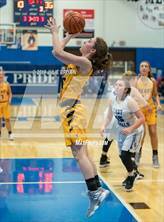 Haley's basketball stats have been updated for the win vs. Irvington Preparatory Academy. The Eastern Hancock varsity basketball team won Tuesday's neutral playoff game against Irvington Preparatory Academy (Indianapolis, IN) by a score of 78-6. 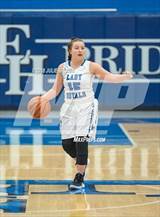 Haley's basketball stats have been updated for the win vs. Tri. RESULTWin Girls varsity basketball vs. Tri. The Eastern Hancock varsity basketball team won Thursday's home non-conference game against Tri (Straughn, IN) by a score of 48-32. Haley's basketball stats have been updated for the win vs. Randolph Southern. RESULTWin Girls varsity basketball vs. Randolph Southern. The Eastern Hancock varsity basketball team won Tuesday's home conference game against Randolph Southern (Lynn, IN) by a score of 40-27. 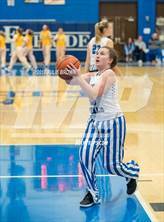 Haley's basketball stats have been updated for the loss @ Pendleton Heights. RESULTLoss Girls varsity basketball @ Pendleton Heights. The Eastern Hancock varsity basketball team lost Monday's away non-conference game against Pendleton Heights (Pendleton, IN) by a score of 63-41. 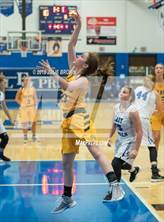 Haley's basketball stats have been updated for the win @ Daleville. 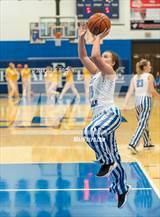 RESULTWin Girls varsity basketball @ Daleville. The Eastern Hancock varsity basketball team won Thursday's away conference game against Daleville (IN) by a score of 55-48. Haley's basketball stats have been updated for the loss @ Waldron. The Eastern Hancock varsity basketball team lost Tuesday's away non-conference game against Waldron (IN) by a score of 45-41. 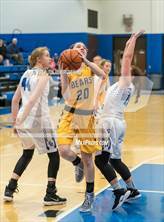 Haley's basketball stats have been updated for the loss @ Union County. RESULTLoss Girls varsity basketball @ Union County. The Eastern Hancock varsity basketball team lost Wednesday's away non-conference game against Union County (Liberty, IN) by a score of 44-39. 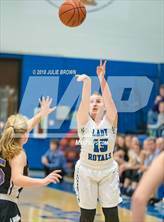 Haley's basketball stats have been updated for the win vs. Greenwood. The Eastern Hancock varsity basketball team won Saturday's home non-conference game against Greenwood (IN) by a score of 56-53. 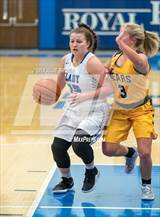 Haley's basketball stats have been updated for the loss vs. Perry Meridian.